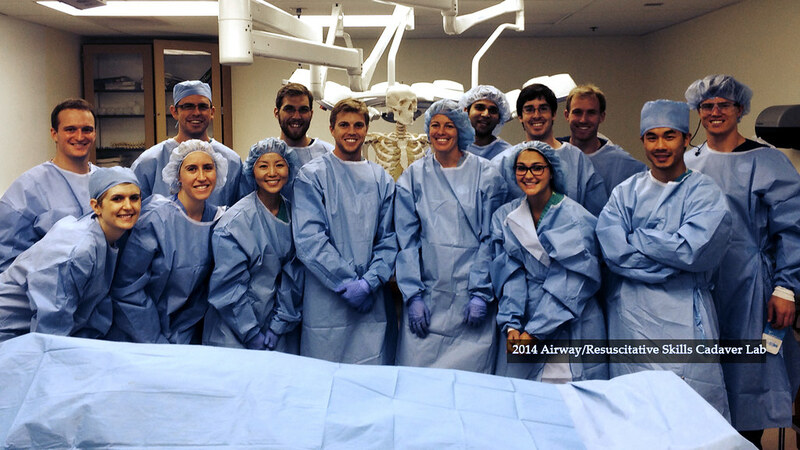 The Vanderbilt Department of Emergency Medicine began offering the Airway Cadaver Lab in 2008 to provide airway management and laryngoscopy instruction/practice to our resident group and faculty using human cadavers. The goal of the lab is to provide learner focused skills education in a low stress environment that facilitates more complex learning in the patient environment. The curriculum grew to include more of the resuscitative skill set used in Emergency Medicine and EMS and time/effort to learn human anatomy as it relates to the emergency medical practitioner. The lab offers students the opportunity to perform multiple skill repetitions with feedback from faculty. The cadavers are fresh, very lightly embalmed and specially prepared to maximize airway imaging.